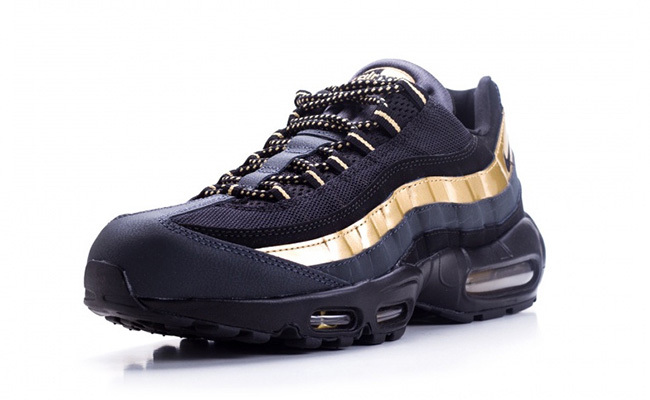 Another Premium release using the Nike Air Max 95 is starting to debut which is the Nike Air Max 95 Premium ‘Black Gold’. 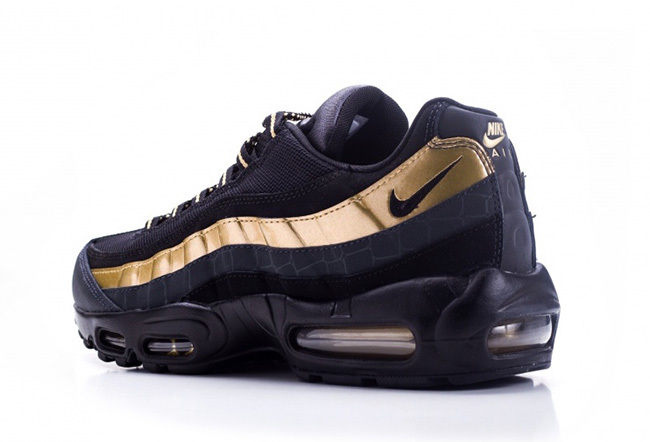 This Premium edition of the Nike Air Max 95 features a simple color theme of Black and Gold, however the actual material use adds to the overall appeal. 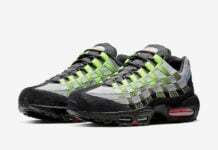 Constructed with leather and mesh foil, the uppers consists of mainly Black while the shade extends through the midsole and outsole. Gold is then spotted across the sides that have a textured overlay. 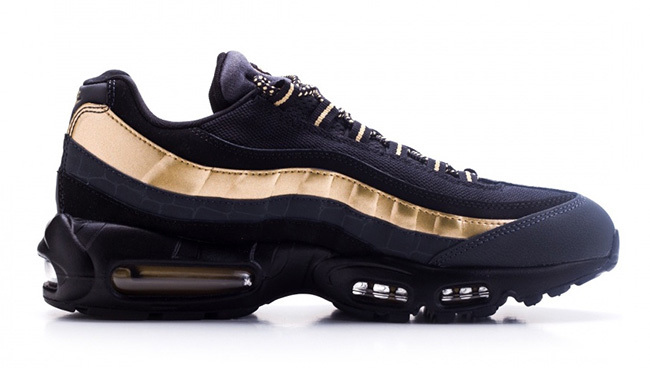 Finishing the look is more Gold that lands on the eyelets and the rear Air Unit. 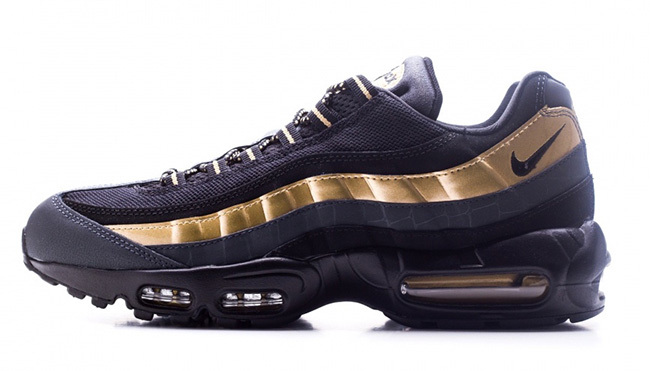 Get a closer look at the Nike Air Max 95 Premium Black Gold by scrolling below. 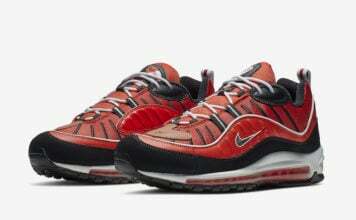 As of now, they have started to release at Nike Sportswear retailers overseas like SneakAvenue. 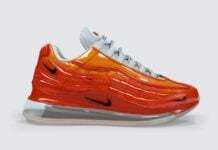 Retail price is set at €179.95 which comes out to be around $202 USD. 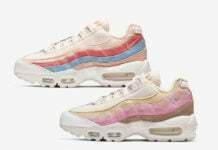 Expect stateside retailers to have them soon.